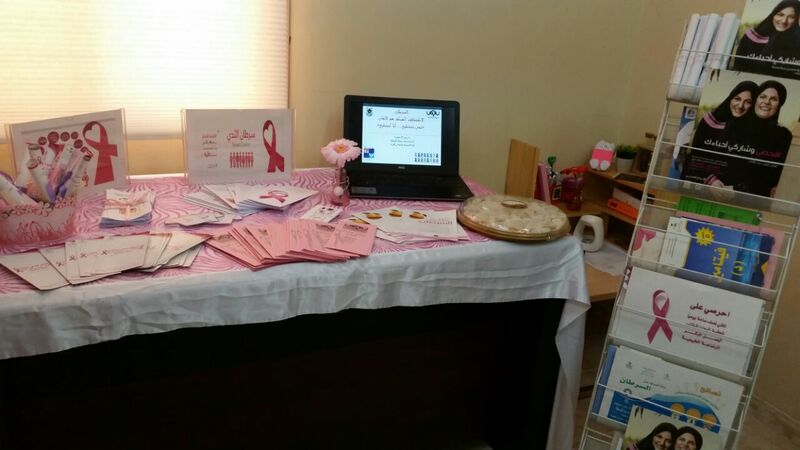 On the occasion of the World's Cancer Day, the Community Service Unit in the College of Pharmacy held and awareness day on cancer diseases on Tuesday March 20, 2018 at the Primary Healthcare Center in the wetern Al-Azizia district. The lecturer in the day was Dr. Sahr Al-Ashmouni the assistant professor in the department of clinical pharmacy in the college. 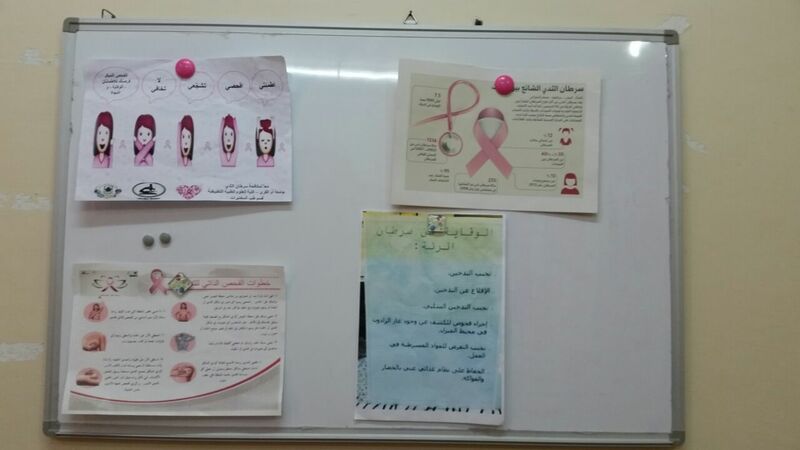 The awareness activities included awareness lecture about cancer diseases such as; colon cancer, lung cancer, breast cancer and skin cancer. Dr. Sahar Al-Ashmouni also provided advice and guidance on the most important factors increasing the risks of developing various types of cancers. The lecture also included methods of prevention and early detection of the disease and the modern treatment means used besides the ways which can be used by the patient during radiotherapy and chemotherapy periods and how to minimize the associated side effects. Dr. Sahar also spoke about the most common types of cancers including breast cancer and the self-examination of the breast and the proper time for such examination in addition to the initial signs of cancer which requires visiting the specialized physician. 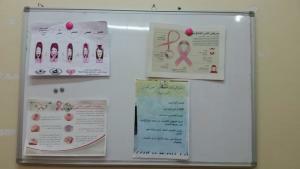 She referred to the importance of taking into consideration some of the misconceptions among women about the breast cancer. After that, the awareness brochures were distributed to the patients who attended the awareness day. It should be noted that such awareness activities come as part of the college strenuous efforts to raise community awareness on the importance of the early examination of the different types of cancer.